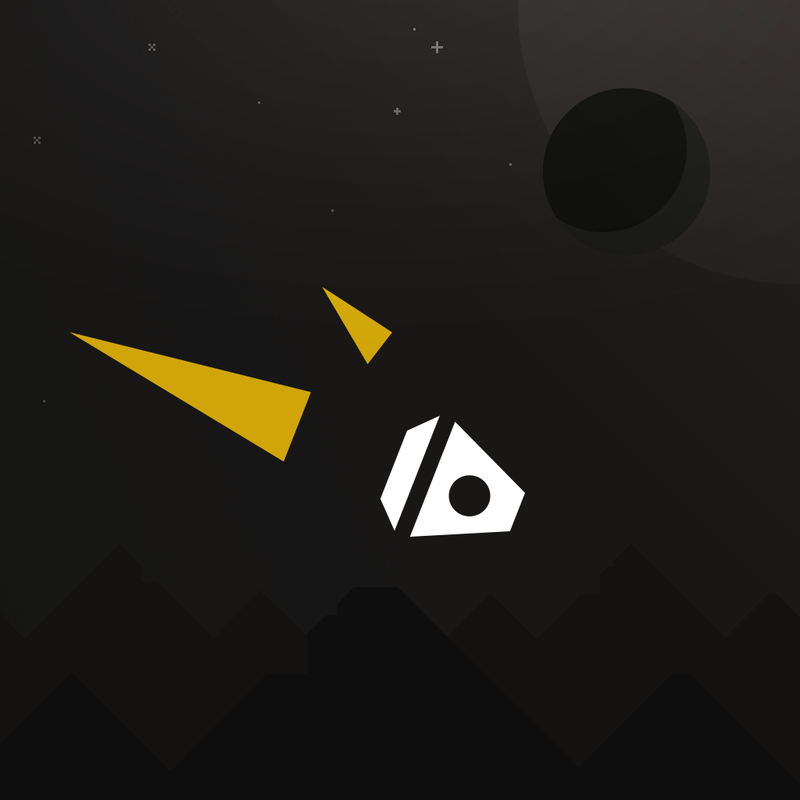 ALONE... ($1.99) by Laser Dog is an intense, fast-paced twitch runner that will keep you busy for hours as you try and beat your high score. 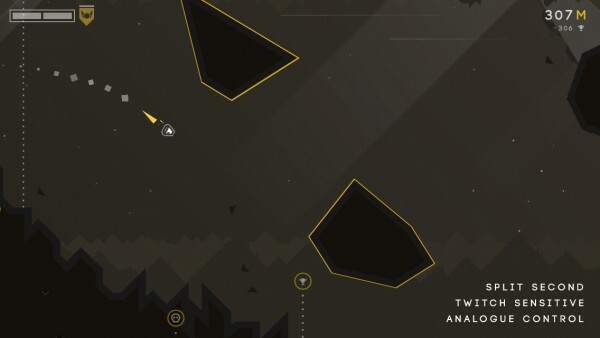 If you enjoy games like Unpossible and dEXTRIS, then you’re going to love what ALONE has to offer. 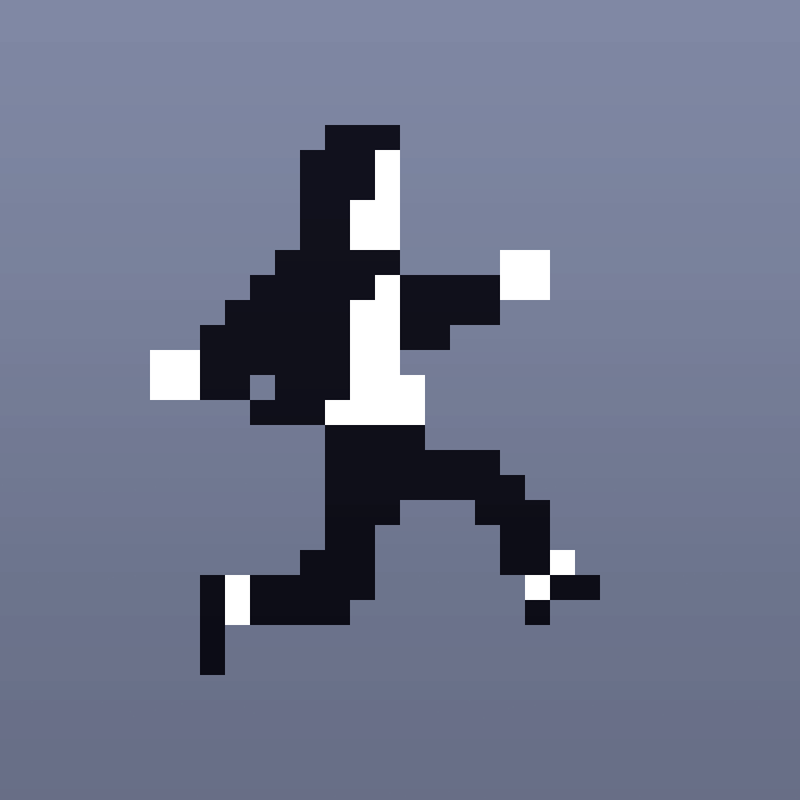 Endless runners are just something I can’t get enough of ever since Canabalt. 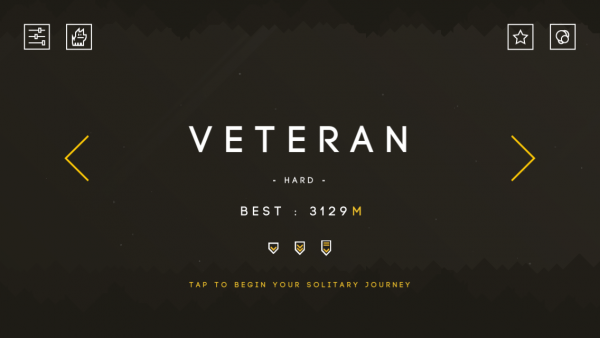 They’re games that I can pick up and play in short bursts throughout the day, and they are pretty challenging that I’ll keep coming back for more. 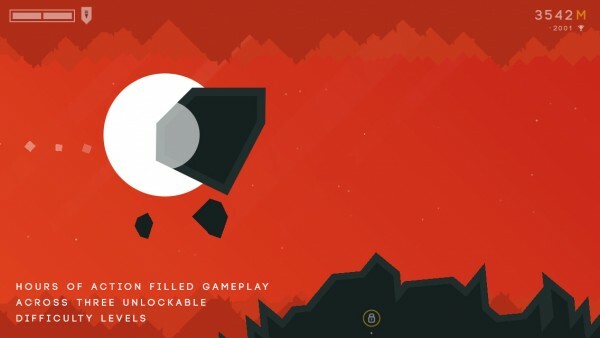 When I heard of ALONE coming to iOS several weeks ago, I was eager to get my hands on the game. Now that it’s on the App Store, I can say that I’m not disappointed one bit. 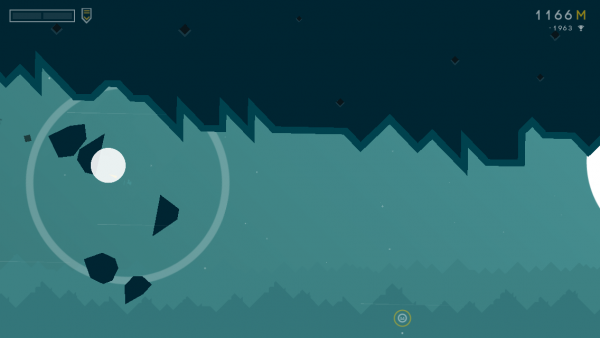 ALONE features a simple, flat design that you have probably come to expect from most games and apps nowadays, due to iOS 7. 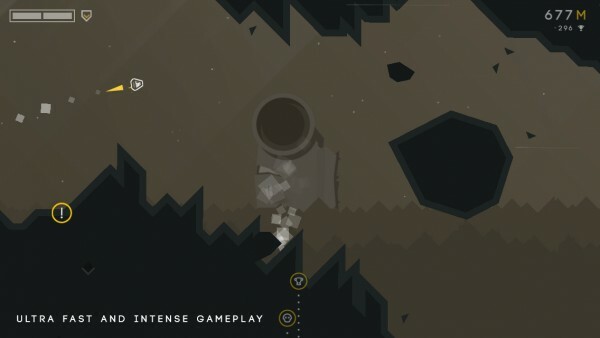 Despite having the flat aesthetic, ALONE is detailed for what it is. 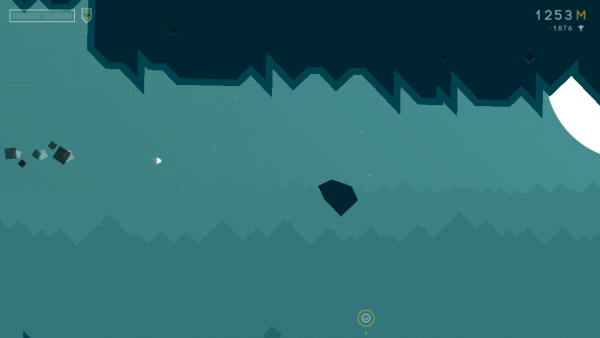 The environments are always procedurally generated, so you never get the same run twice. The deep space environment is gorgeous, with colorful or gloomy backdrops that have a bit of depth to them with various shadows and silhouettes. Your ship is basic, but the animation of the thrusters and force field is delightful. The game runs incredibly smoothly, which is necessary for a fast game like this. The best thing about ALONE, though, is the soundtrack. Music is always an important part of a game, and ALONE nails it, especially with the sci-fi vibe. 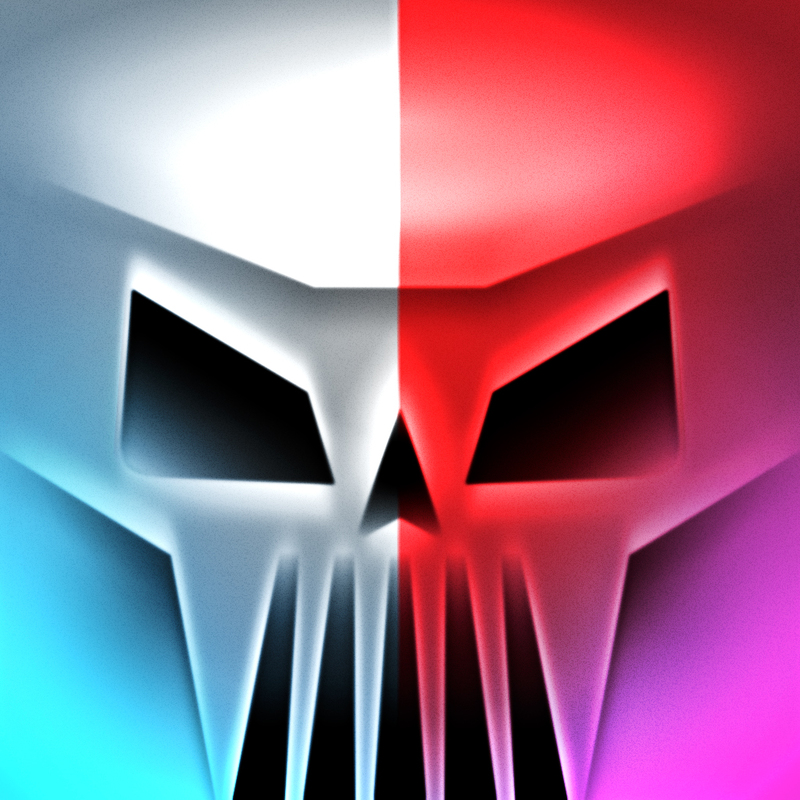 The soundtrack has five adrenaline-pumping songs, and a random song will be picked for each run. You can sample the entire soundtrack here. The music even continues when you crash and end your run, and then flows into the next song and run. When you start, there is only one game mode available to you: Veteran. 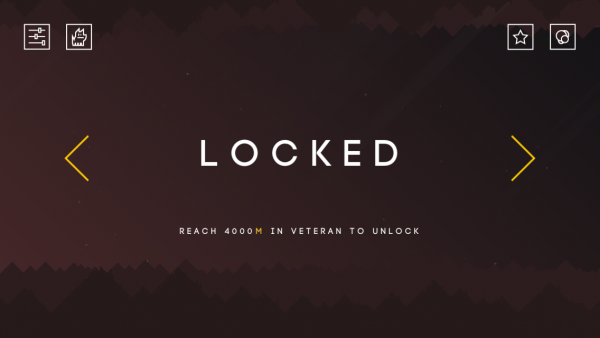 But if you manage to reach 4000m in Veteran, you will unlock the next difficulty, and this continues for the other four total difficulties and modes available. The game starts off difficult (Veteran is marked as “hard”), so I can only imagine that the game gets even harder if you manage to meet the requirements. The controls are intuitive enough so that the game can be played with just one hand. Your ship will be propelling itself through space automatically, but you are in charge of maneuvering it through obstacles that will end up in the way, such as debris, rocks, comets, and more. To move, you just need to swipe your thumb up or down on the screen. By default, the controls are inverted, which may cause confusion. 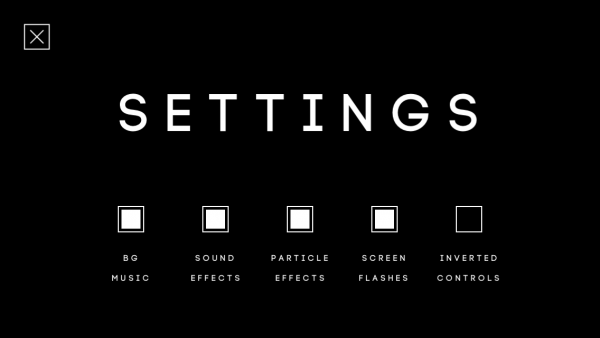 Fortunately, there is the option to turn off the inverted controls. Due to the intense nature of this game, you most likely won’t be swiping, but just dragging your thumb up and down the screen to move. 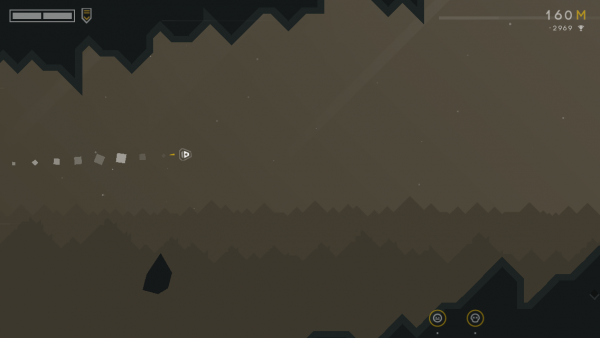 ALONE has some of the most sensitive controls I’ve seen in a game, which makes it even more challenging. The sensitivity means that you can be more precise with your movement, but if you aren’t careful, it can send you out of control and crashing to your death. Your ship does have a shield, so that means you can take a few hits before you meet your inevitable end, unless you hit a wall — there’s no protecting you from that. 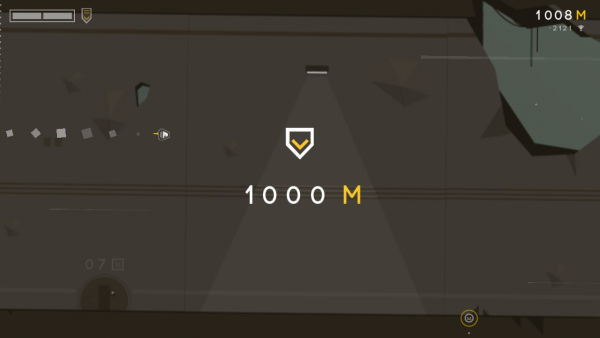 Your shield’s status can be seen in the top left corner, and the gauge has two slots. A hit will deplete it of one, but it does recharge over time. Of course, if you hit something when both shields are exhausted, then it’s over. A game like this is perfect for competing against friends, so there is full Game Center support. 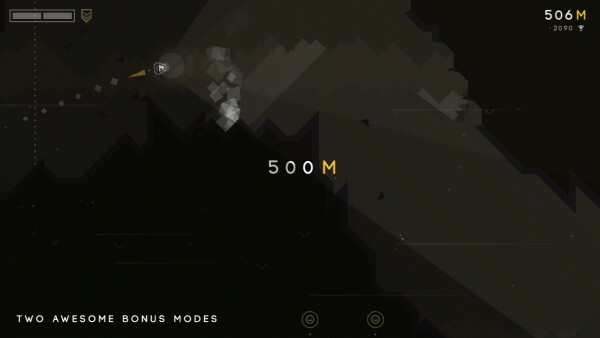 There are leaderboards for each difficulty and mode, as well as 32 achievements to obtain. You can even see when you pass your friends on the leaderboard with the markers in the game. All of this just adds to the high replay value that this game has. 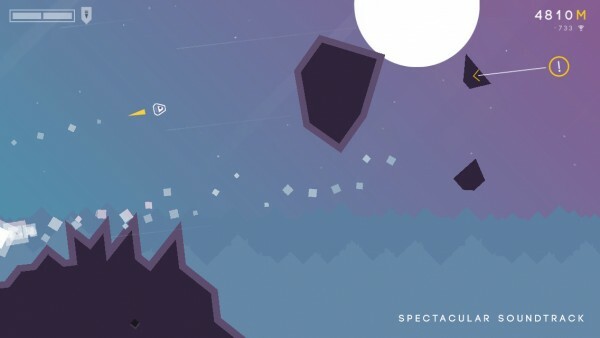 I’m always a big fan of twitch reflex games and endless runners, and ALONE is perfect combination in every way. The visuals are fantastic, the soundtrack is captivating, the controls are super responsive, and the gameplay is challenging enough to keep you coming back with the “I can beat my high score” mentality. 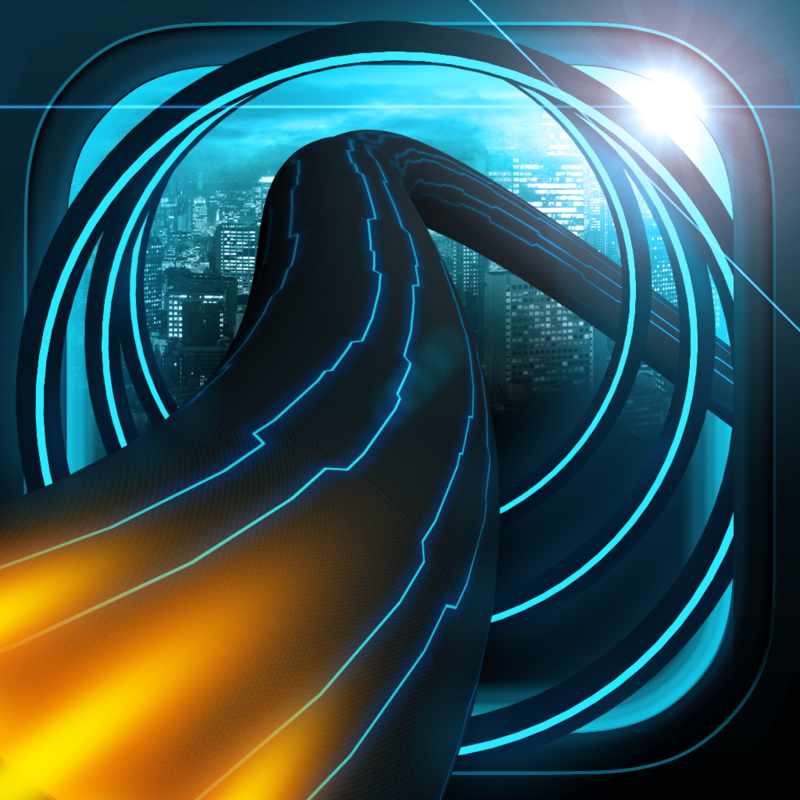 I highly recommend checking out ALONE if you are a fan of reflex and endless runner games. This is definitely one that shouldn’t be missed. 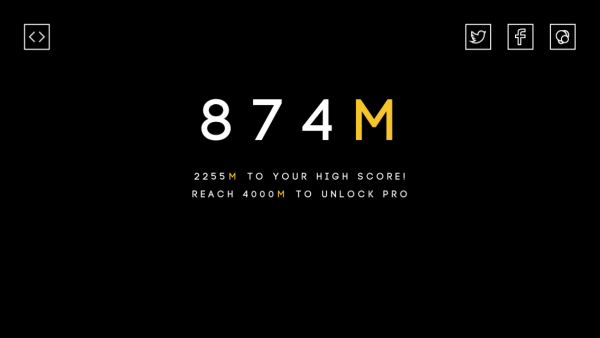 You can get ALONE on the App Store as a universal download for $1.99.